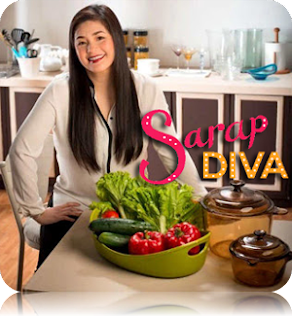 Join Asia’s Songbird Regine Velasquez-Alcasid as she shows off her culinary expertise and whips up delightful dishes via her newest cooking talk show, Sarap Diva. 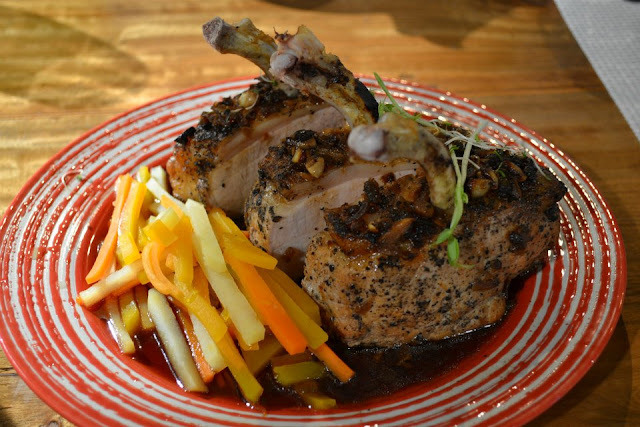 The Master will divulge the recipe that earned him the respect of the King of Oman. This recipe was so well-loved by the King that he was promoted to be the head chef of the royal kingdom. He will teach Regine how to cook his recipe of pork loin rack. aluminum foil 8' x 24"
1. Marinate pork loin all ingredients into a baking roasting pan, then cover with aluminum foil. 2. Have ready heated oven 150 °, then roast in oven for 3 hours or until tender. 3. Cut into four pieces then thread the bones of each slice of pork loin on top. Spoon over the top with the remaining adobo sauce. 4. Place on plate. Garnish with green pea sprouts.